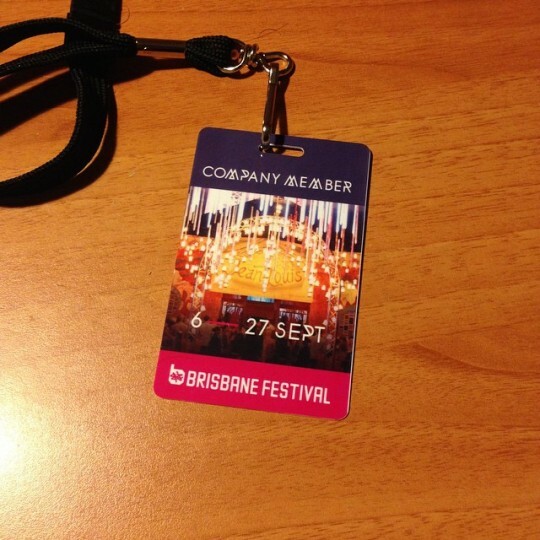 This year marks my fifth year being involved with Brisbane Festival in one capacity or another. This year I will be lighting Prehistoric as part of the QUT Theatre Republic, before it tours down to Melbourne to the Northcote Town Hall as part of Darebin Arts Speakeasy program in October. I’m so glad this show has had a life beyond our world premiere at Metro Arts in 2013. I will also be working with Motherboard Productions on the world premiere of 대홍수 Deluge as their Technical Director. Following this, I’ll be traveling to South Korea to light 지하 Underground as part of the Hi Seoul Festival, and then eventually tour 대홍수 Deluge around four theatres in South Korea as part of Seoul International Dance Festival. Busy month for me. See you all in October.